God is Spirit. He is eternal, infinite and unlimited. He is not bound within the confines of time and space like you and me. He created time and space but He exists beyond it. He encompasses everything over and above the dimension of His creatures. He is beyond every dimension we humans can perceive and He is beyond past, present and future. he is not limited by time. He is eternal. He is not limited by space, He is omnipresent. The question is: Can such an omnipotent, omnipresent God, cause Himself, by His Word and His Spirit, to be incarnated as a limited HUMAN BEING to walk and talk among humans on earth? Nothing is impossible for God. If anyone says God cannot do this, then you are limiting the Creator’s ability. Christians believe He can and He HAS! Through Jesus Christ. Remember that while He incarnated on earth, coming from outside time and space into human time and space in the form of finite human being in , the infinite God, who is eternal Spirit still exists, as He always has, outside of time and space! 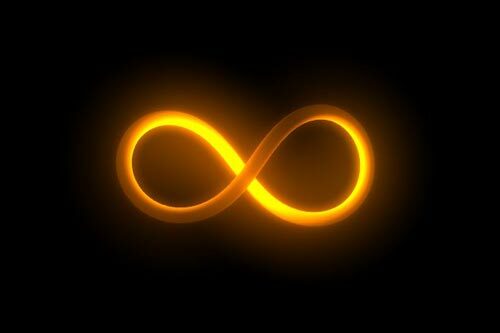 The eternal and infinite Father depositing His own essence as a finite Son in a human body on earth. He didn’t transform into a human being. How this can happen is, essentially, the eternal God, added HUMANITY to His DIVINITY. In this way, He is limiting the very essence of who He is within a human body and within the confines of time and space and become and do all that a human being can do, EXCEPT sin, since He is perfectly holy and sinless. A God who can do this is more awesome and superior and powerful compared to a god who cannot or will not step into his own creation in this manner. Only a God of absolute love would go to such an extent to reveal Himself in such a way to His own creation so they would know Him in a way that is impossible in any other way. Yes, any “god” can send prophets and holy men to teach his words to man, but which deity would come personally Himself for you and me? Not one who is too lofty or proud but only One who loves unconditionally. Let me give you an illustration. Any of you watched the movie, Ant-Man? 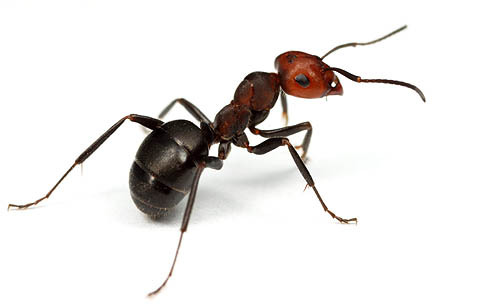 In it, a man is shrunk to the size of an ant and able to interact with ants, to walk with them and communicate with them. Interesting story but it’s only fiction. Man does not have the ability to do this. But please imagine with me for a moment though. What if I did have the POWER to do this? To take the essence of my being, and add the DNA of an ant to it? I could incarnate as an ant and be planted into an ant colony and be part of their community! Note that I did not transform into an ant. I exist as a human being, even watching the ant colony from the outside, as myself! My tiny incarnation though, is right in the midst of the ants and communicating with them, as one of them. Is there two of me? Not really. I am still me. Still one. Taking on the form of an ant is an extension of who I AM but existing in the very limited world of the ants. Who is in control while I’m in the ant colony? I AM. I didn’t completely transform into an ant. I am still me, existing on the outside watching everything. As the ant, I could say to the other ants that “I and that human being out there are ONE.” I could also say, “That human being is greater than I.” Would this be confusing? Yes, I suppose so, but only to those who don’t understand what I have done to come to be among them. Many of them might even laugh at me and call delusional. The Bible teaches that Jesus is fully man and fully God. How can we understand the relationship between God the Father and Jesus? Let’s say, the ocean represents God, vast and infinite. Now what if I take a glass and fill it to the brim with the water of the ocean? What do we have? Do we have TWO oceans? No. There is only one ocean. But we can have a representation of the ocean itself in the glass. The exact same substance, the exact likeness, the exact same nature as the ocean. The glass holds as much of the ocean that it possibly can, within it’s tiny frame. 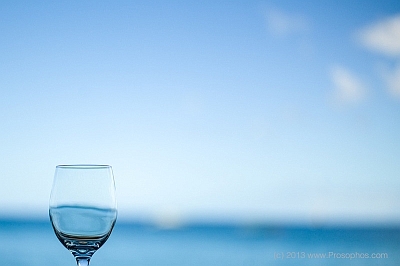 While the ocean represents God, that glass represents Jesus! God and Jesus are not two gods, as some mistakenly think. Jesus is the exact representation of God on earth. In Jesus, the fullness of God dwells in BODILY form. (Colossians 2:9). In theology, this is called the “Hypostatic Union”. This is why Jesus could say, “I and the Father are one.” Why? Because the nature and the essence of the substance in the glass is the same as the nature and essence of substance of the ocean. And yet, Jesus also said, “The Father is greater than I.” How is this explained? Well, isn’t the ocean greater than the ocean in the glass? There’s more. Let’s take the analogy further. The glass, like the human body of Jesus, is fragile. The body of Jesus is the same as an earthly human body. It can break. It can bleed. It can die. Jesus, who is God, limited Himself to such an extent within a human body that He emptied Himself of all His majesty and power and glory and authority that was His from the beginning. But the very presence of God was in Him. That is who Jesus is. In this way, Jesus is fully man and fully God. God dwelling in human flesh. Just like the image of that glass of ocean, the glass is 100% glass. And the substance in it, is 100% the same nature as the ocean. As a man, Jesus can get hungry and He can eat and He can walk and do everything that a human can. Except that He was sinless. This is what many people fail to understand. They question how can God eat and drink? And how God can feel pain and suffer? The answer is simple. Because Jesus’ body is human. With this simple illustration in mind, many so-called “contradictions” become clear. He was one with God, yet walked as a Man on earth, able to communicate with the God in heaven. Jesus was a man. And Jesus was also God. As God, Jesus could forgive sins. As God, Jesus accepted worship directed to Him. As God, He did and said many things which no one else has ever said or done. The prophet Isaiah records that God said: “I am the First and the Last.” (Isaiah 48:12). No human or angel or prophet or demon would dare to claim this title for himself, but Jesus did.